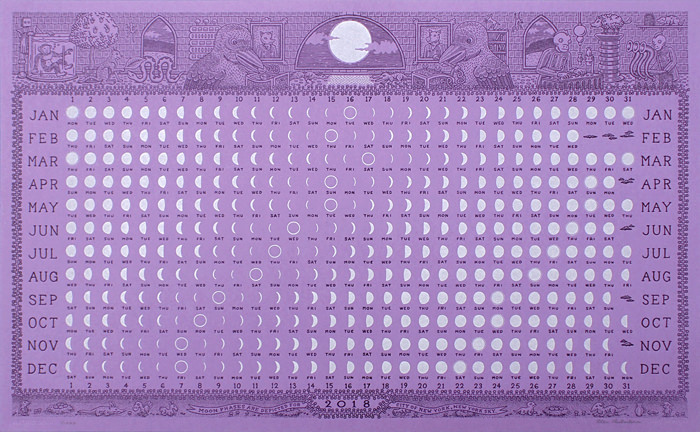 Alec Thibodeau has once again created a pretty spectacular lunar calendar print. It’s an 11.75″ x 19″ letterpress print, has an edition of 1000, and costs $40. Visit HueTown.com.